I've never been one to embrace my pale Irish skin, while I'm lucky enough to tan well naturally I do like to fake it too. Keep reading to hear all about my top tips for getting your skin holiday ready to not only tan better but have it last longer too. Tanning prep should start ideally two weeks before you hit the beach. Tan Booster by Tan Luxe available at Cult Beauty is a revolutionary illuminating serum that contains Melanin Activator Complex to accelerate and extend your natural tan. Starting two weeks before you go, you simply mix a couple of drops in with your existing skincare regime. It can be used on the body or face, prior to, during and post-sun exposure to enhance, intensify and extend a natural tan. Winner. 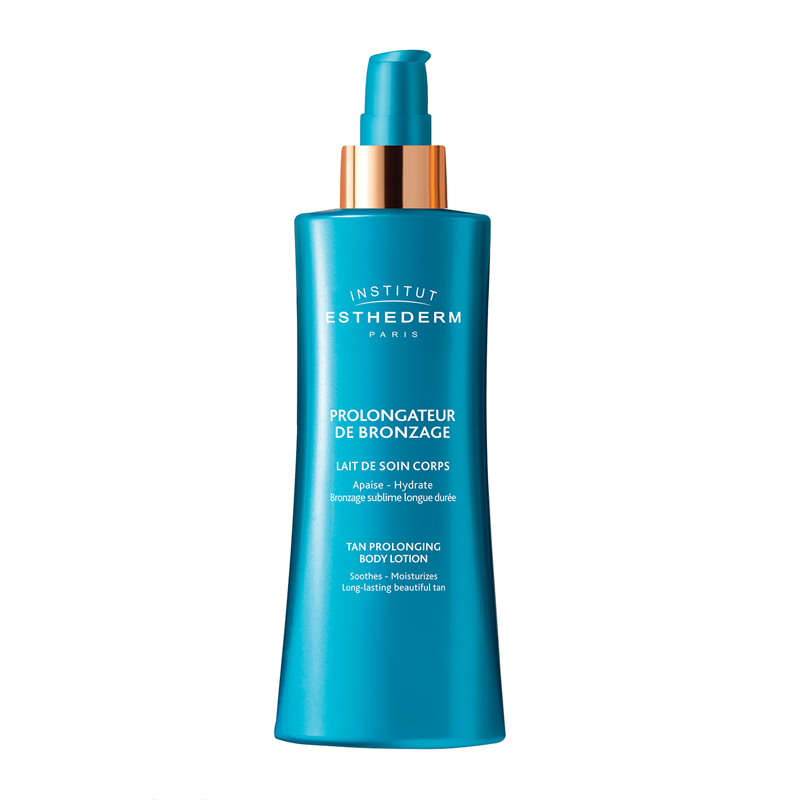 I discovered Institut Estherderm last year, many of you may remember me raving about Adaptasun Protective Tanning Care Body Lotion. It's available at Feel Unique and they ship for free to Ireland! It protects skin at the DNA cellular level from UVB and UVA rays while also activating the natural pigmentation process so the skin adapts more quickly to the sun for a deeper, stimulated and long-lasting tan. Last summer I swear I have never tanned better and put it all down to this lotion. Because I loved the lotion so much I wanted to try more of the line so got my hands on the Sun Care Oil and the Tan Prolonging Body Lotion. The Suncare Oil works in the same way the lotion does, it gives you protection while helping you tan better while the Tan Prolonging Body Lotion acts as an aftersun that extends the longevity of your colour. It's important to note I do wear an SPF on top of the oil or lotion while tanning as I like to know I'm definitely covered but both are available in three different strengths, moderate, strong and extreme sun. Thank me later. I mentioned I use SPF so I wanted to show you two of my favourites. La Roche-Posay Anthelios Invisible Face Mist SPF 50 is my go-to for my face as I like that I can apply my usual skincare regime and then just mist my fast with this at the end. It's so fine it doesn't feel heavy or greasy, love it. On my body, I love to use Piz Buin Tan and Protect Accelerating Oil, SPF 30. I know it protects me while also aiding natural tanning, smells amazing too! While tanning naturally looks great, it's not for everyone. Maybe you just don't go brown no matter how hard you try or maybe you don't want to expose your skin. If you're like me and don't like to tan your face a good facial tanner is a must. My personal favourites are tanning drops that you can add to your own existing regime and customize the level of colour you want. My product of choice is also from Tan Luxe at Cult Beauty, simply called The Face. I went for the Med/Dark drops but they also come with a light option for those with a fairer complexion. On my body, I am wholeheartedly converted to Loving Tan from Trnd Beauty. The 2 Hour Express Dark Foaming Moose gives me life. No streaks, no scent, so cracking as it comes off. Life complete. Finally, when it comes to finishing the skin I always like to apply a shimmering body oil and nothing beats the creme de la creme, Show Beauty. It contains Argan & Jojoba Oil to nourish and hydrate skin, aloe vera which is great post tanning to calm inflammation and Vitamin E to leave skin looking healthy and silky smooth as well as enhancing your natural tan. Apply over your chest and down your shoulders to reflect the light! P.s It's currently on sale on Feel Unique!